In this tutorial we will show you how to install and configuration of LAMP Stack on your Debian 8 server. For those of you who didn’t know, LAMP represents a full featured stack containing the most popular web server known as Apache, the most popular database server MySQL and the most popular open-source web programming language known as PHP. All components are free and open-source software, and the combination is suitable for building dynamic web pages. This article assumes you have at least basic knowledge of linux, know how to use the shell, and most importantly, you host your site on your own VPS. The installation is quite simple and assumes you are running in the root account, if not you may need to add ‘sudo’ to the commands to get root privileges. I will show you through the step by step installation LAMP Stack on a Debian 8 (Jessie) server. Step 2. 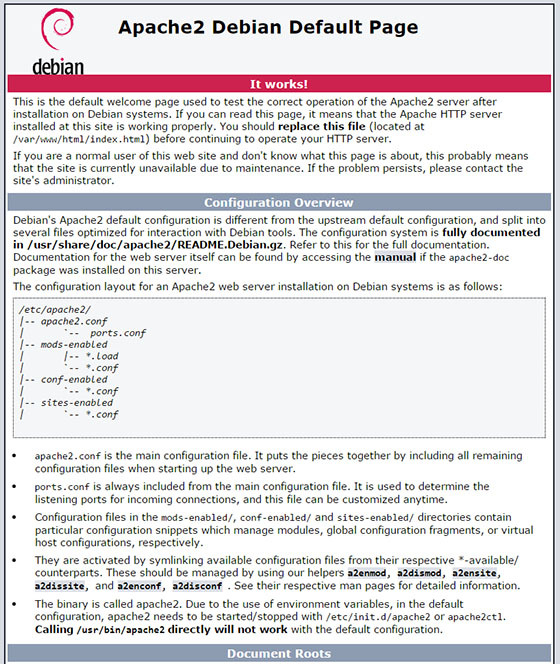 Installing Apache on Debian 8. Step 3. Installing MariaDB on Debian 8. Step 4. 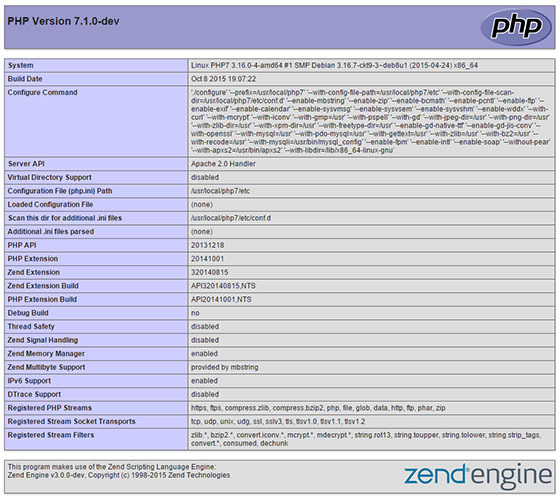 Installing PHP 7 on Deban 8. Congratulation’s! You have successfully installed LAMP stack. Thanks for using this tutorial for installing LAMP (Linux Apache, MySQL and PHP) in Debian 8 (Jessie) system. For additional help or useful information, we recommend you to check the official Apache, MySQL and PHP web site. Related Posts of "How To Install LAMP Stack on Debian 8"